One of the many favorite aspects of writing contemporary romances is the unexpected twists and turns God gives when I write. Although I have a skeleton plot for each book sketched out, little details emerge that catch me by surprise. Often those small things develop and take a life of their own. One example is single parent characters. When I wrote Entrusted, I knew the first person Jenna encountered, local sheriff Carla Rowling, would become her best friend. As the two got to know each other, suddenly a new character came on the scene as a cashier at Ben’s grocery story, Carla’s teen son, Noah. Carla now had a backstory that ended up so significant that Entangled is all about her. She had Noah as a teenager and fears he will follow her mistake because he’s closing in on the same age. It was one of the hardest things I’ve had to write because I never saw the story coming. 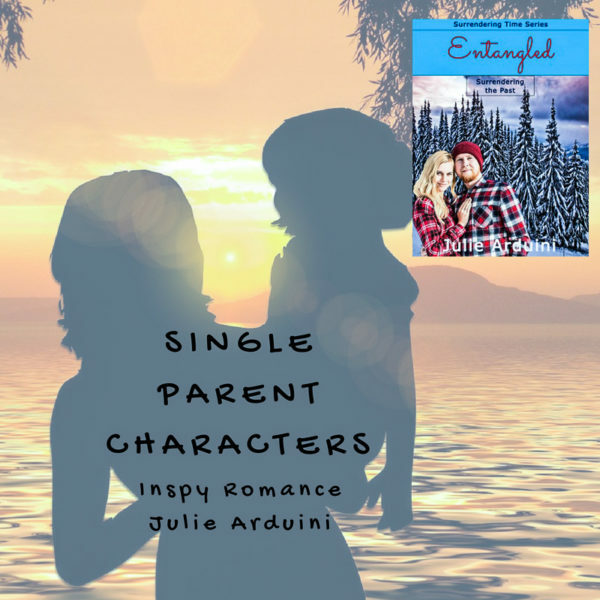 The single parent character journey wasn’t done with Entangled. As Carla deals with her regrets, her first love and Noah’s father, Wayne Peterson, moves to the area to develop a relationship with Noah. In Entangled it brings great conflict for Carla, and in Engaged, Wayne experiences a transformation where he longs to lead a life Noah can be proud of. Two books I never considered writing, both with single parent characters. I find exploring this specific character was challenging but fun to write because conflict is embedded, and that’s the heart of a romance. A single parent is most likely going to have regret of some kind. Like Carla, perhaps the character became a parent at a young age. Maybe the mom worries about working too much. Then there’s trust. Whatever circumstances the parent is going through, they are used to doing things themselves. Trust is probably going to be a struggle. I thought I would share a bit of Carla’s story, my single mom from Entangled. A twenty-minute run. That’s all I need. Just enough time to feel free. The Piseco Inn meeting room is wall-to-wall people. My fellow law enforcement, paramedic, and fire and rescue colleagues hand me gifts and joke at the idea of me leaving for beauty school. I paste on a smile as I lift a pair of black running shoes with hot pink trim from layers of tissue paper, but my focus is on my breathing. Steady and even. Like when I’m running. “From squad car to standing all day. What a switch.” Fred Beebe, retired bank president, grins. I stand and balance my arm on Joanie, the county dispatcher, as I slip off the three-inch heels I borrowed from my best friend Jenna and try on the comfy shoes. “Hey, Carla! Will you wear those as you run with scissors to chase perps out of your hair salon?” Jack Hunt, my replacement, snorts from laughing too hard. “Do they fit?” Joanie looks to the empty box on the floor where wrapping paper and ribbon litter the area. I nod, let go, and sit. “They’re so comfortable I’m going to wear them for the rest of my party.” And as soon as I can, break these sneakers in. There’s nothing like the feel of new running shoes, and no better time to use them than when the walls feel like they’re closing in. Looking around, I see my former colleagues from around Hamilton, the only county in New York State that doesn’t have traffic lights. The people smile and chant my name. Their grins seem sincere as they point to the table full of packages. Gifts I’ll never deserve. I glance at the door, my breathing no longer steady, but fast. Beads of sweat form at my hairline and I regret not putting my hair in a ponytail without bangs. Probably everyone’s counting the perspiration drops falling on my jeans. Can you recall reading any contemporary romances featuring a single parent? Meant to Be Mine by Becky Wade is one of my favorites and I also really liked A Christmas Surprise by Kimberly Rose Johnson. I’ve read a number of Love Inspired books featuring single parents. I really like that theme! I loved A Christmas Surprise. I need to get my hand on Becky’s book, I love her writing. 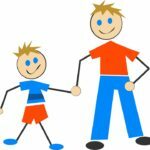 I realized single parent themes are challenging, but they make great fiction. I hope you have a blessed weekend! I discovered when doing my Single Dad post a couple of weeks ago that I’d been inadvertently avoiding this backstory. I do have a few more single moms than dads throughout my list. Kids of varying ages sure do add their own twist to a story! I love when that thing that adds so much depth to my books is revealed. Completely God given. When they come, I suddenly can’t write fast enough. Glad to know He helps you out too when it comes to plot.